Do you love colorwork but find yourself getting tired of the same traditional motifs? 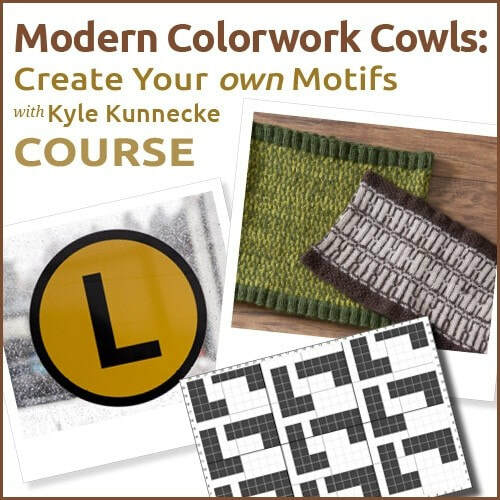 Let Kyle Kunnecke teach you how to create your own graphic designs and use them in a custom cowl pattern! Plus, knit a one-of-a-kind custom cowl YOU designed from start to finish!